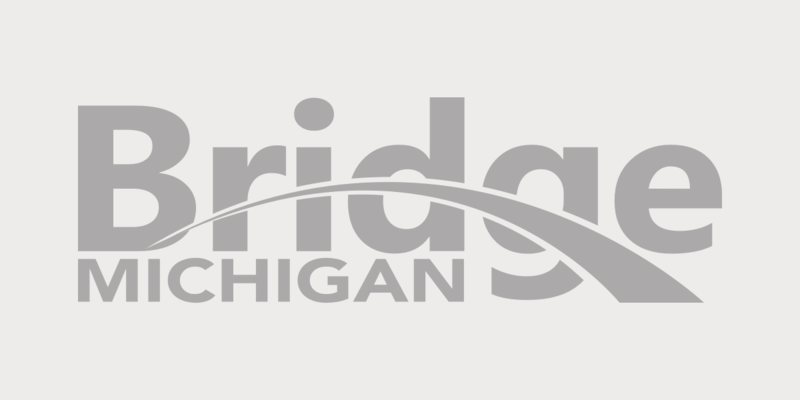 Editor’s note: This is the second installment of Bridge’s series, “The smartest kids in the nation,” chronicling how four high-performing or fast-improving states are making gains in education while Michigan remains muddled in mediocrity. We previously looked at dramatic improvements in Tennessee, which has shot past Michigan in key subjects in recent years. Today we visit Minnesota. Early education classes available to all Minnesota children ages 0-4 and their parents, regardless of income. Extra funding for schools with high concentrations of poverty. Nerd is the norm in Minnesota, the state with some of the best math students in the nation. Minnesota fourth-graders were No. 1 in the country in math on the 2013 National Assessment of Educational Progress, the gold-standard test for cross-state comparisons. The state’s eighth-graders were tied for fourth. Minnesota students also are in the top 10 in reading in 4th and 8th grade, making it one of the leading education states, with students performing as well on some standardized tests as students in international darling Finland. By contrast, Michigan students are at or below the national average in 4th grade reading and math and 8th grade reading and math – sometimes far below. Not only are Michigan’s scores lower, but they are rising slower than Minnesota’s, widening the education gap between the two states. Why are students in Blaha’s classroom in suburban St. Paul learning more than students in the average Michigan school? Bridge visited Minnesota and three other states to look for answers: Massachusetts which, like Minnesota, is acclaimed for its high-achieving students; and Tennessee and Florida, where academic achievement was similar or worse than Michigan a decade ago, but which have since produced stunning growth in student learning. Comparing the economies of Minnesota and Michigan is sobering. Minnesota’s unemployment rate was 4.5 percent in July, tied for ninth best in the country; Michigan’s unemployment rate was 7.7 percent, tied for 47th and dead last among Midwestern states. Minnesota’s per-capita income is $46,227; Michigan, $37,497. In Minnesota, 11.4 percent of residents live below the poverty line, compared to 17.4 percent here. Minnesota also outguns Michigan in education. Minnesota is second in the nation (to Massachusetts) in the percentage of adults with at least an associate’s degree, at 47.7 percent; Michigan’s college attainment level is 37.4 percent, below the national average of 39 percent. From the outside, Minnesota and Michigan K-12 programs look similar. Both have many small school districts in rural areas and a few urban districts with high concentrations of poverty. Both state school systems have fiercely guarded histories of local control, and both have heavily unionized teaching forces. Minnesota is the birthplace of charter schools, and Michigan is a leading state in the percentage of students enrolled in charter schools. So why is there such a wide difference in student achievement? Minnesota has a higher median household income, but all demographic groups – rich, poor, white and minority – perform better on the NAEP than their Michigan peers. One breathtaking example: Minnesota students eligible for free and reduced lunch rank fourth in the nation in fourth-grade math scores; Michigan students rank 48th. Michigan and Minnesota spend roughly the same amount per pupil, and yet the performance of Minnesota students on national tests is far superior to that of Michigan students, including low-income students. Proponents of the Minnesota system note that the North Star states budgets its money differently. Below, how students in the two states stack up on the NAEP, often called the nation’s report card. Source: National Assessment of Educational Progress. * Note: Students identified as poor are those eligible for a free or reduced lunch. Those identified as “not poor” are all other students. While no individual policy is likely to account for the wide gap, Minnesota has embraced several reforms that could be tried here. Those reforms start at birth with the nation’s most extensive early childhood and new parent program, continue into the classroom with tough, consistent academic standards, and are wrapped in a funding policy that intentionally spends more on poor kids than rich kids. Kids enter the public school system early in Minnesota, sometimes before they have their first birthday. The state’s Early Childhood Family Education program offers once-a-week classes to children ages 0-4 and their parents. It’s the parent component that makes the program unique. Now in its 40th year, ECFE helps teach parents to be their children’s first teacher. There isn’t a close comparison in Michigan, or any other state for that matter. The Michigan Great Start Readiness Program offers classes for low- and moderate-income 4-year-olds to help kick start their schooling. The Minnesota program, by contrast, is open to all families regardless of income (with a sliding fee); parents can choose when to enroll, from the time their child is born until they enter kindergarten. The program is wildly popular, with most families signing up when their child is 2 or 3. About one in five preschool children and their parents enrolled in the program last year, with a majority of Minnesota families taking classes at some point before their kids reach kindergarten. Family fees (which pay for about 6 percent of the program) are kept low to encourage enrollment. A family earning $40,000 a year pays $50 for a semester of classes; a family earning $100,000 pays $225. Chisholm and other instructors are licensed teachers, with certifications in early childhood and parent education (a special degree and certification rare outside of Minnesota). In some districts, such as St. Paul, instructors are paid on the same scale as elementary teachers; in other districts, instructors are paid by the hour. Classes are offered in every school district in the state. In St. Paul, one of the state’s largest districts, there are ECFE classes specially designed for Somali immigrants, adoptive parents, LGBT families and divorced dads. Later in the class, children and parents to go separate rooms, and parents talk about issues they face at home, from tantrums to discipline to how to find time to read to their kids. The program is supported primarily by the state, which pays districts $120 per eligible child to hold classes. At $26 million in state funding, it’s a great investment for the state, argues state Sen. Charles Wiger, chair of the Minnesota Senate Education Committee, who represents a district that includes St. Paul. There haven’t been long-term studies measuring the impact of the program on academic progress. But the program has survived potential budget cuts under governors ranging from progressive Democrat Mark Dayton to conservative Republican Tim Pawlenty, to former pro wrestler and Independent Jesse Ventura. Another key to its survival is the fact that ECFE is designed for all families, not just those with a low income. Business, community and political leaders see it as a service for everyone, not a handout to the poor. Many legislators have participated in the program with their children – or as children themselves. “If this had been targeted, it would have been cut long ago,” Sysyn said. Instead of being cut, the Early Childhood Family Education program got a $4.65 million increase in its budget this year. “I can assure you, as education (committee) chair, it will get continued attention next year,” Wiger said. What Minnesota does, though, is give a bigger slice of education funding to low-income schools. For example, Red Lake Elementary, a school of 478 students in rural northern Minnesota, received $2,241 per pupil in extra funding in 2012 because 78 percent of its students qualified for free or reduced lunch. That same year, East Duluth High School, where fewer than one in five students are low income, received $102 per pupil in extra funding. “Where we have the greatest need, we have the smallest classes,” said math teacher Blaha. “We get extra funding for concentrations of poverty, and that’s the right choice. If I have twice as many students in poverty, I’ll have four times as many challenges teaching. It’s not linear, it’s exponential. “I’m willing to have a larger class in the suburbs so someone in north Minneapolis has a smaller class.” said Blaha, who teaches at Jackson Middle School in Anoka-Hennepin School District, a wealthy suburb of St. Paul and the state’s largest district. Michigan’s per pupil foundation allowance doesn’t give extra state money to low-income schools. Most schools receive the same per-pupil allotment. About 50 historically higher-spending school districts in the state are allowed to tax their local property owners for additional funding. Most of them are affluent districts. Michigan does provide $309 million in state cash for schools with high concentrations of at-risk students, many of whom are poor. But that money is not enough to allow high-poverty Michigan schools to offer the kind of additional staffing that is offered in Minnesota, said David Campbell, superintendent of the Kalamazoo Regional Educational Service Agency. That extra funding can be seen in Bel Air Elementary School, nestled in a working class neighborhood of otherwise suburban New Brighton, outside Minneapolis. The school has about 775 students in kindergarten through fifth grade, with some students bused in from a homeless shelter. About 42 percent of students are eligible for free and reduced lunch. The students have homerooms, but are broken into smaller groups for reading and math, often with several support staff. In a school of 26 classrooms with homeroom teachers, there are six additional instructional teachers that float between classes, two full-time English as a Second Language teachers and a social worker. “We feel so lucky to be here,” said Gretchen Zalewski, a third-grade intervention teacher at Bel Air. During a visit by Bridge, Zalewski and two other intervention teachers were working with about 20 students on reading. Minnesota adopted the reading standards of the Common Core State Standards (adopted by more than 40 states, Common Core is a set of concepts and skills that students are expected to learn at each grade level). But Minnesota did not adopt the math standards, because the state’s math standards were already higher than Common Core. One example: all students take linear algebra in eighth grade, a course that is typically taken by ninth graders in Michigan. “What we have are firm standards and clarity of standards,” said Dan Hoverman, superintendent of Mounds View School District, which includes Bel Air Elementary. “Whether you agree or disagree, it’s there. No one goes rogue here. That makes a big difference in the classroom. “Early in my career (in the early 2000s) they were flipping standards a lot,” said math teacher Blaha. “In my first six years, I had four different text books. After that it stabilized. Eduction theories are dysfunctional. Error does not improve with long winded repetition as in this article. Historically the first public school law in Michigan was enacted by the legislature in 1871. Before 1871, no public schools but life went on. Most of the US presidents didn’t go to PS. Lincoln, Washington, FDR, Teddy Roosevelt, no schools at all. Folks invented calculus, built railroads.... The original and ongoing purpose of the PS was to turn smart enterprising farm kids into obedient, passive factory workers. Kids are passed down an assembly line as math, reading, science are bolted on. Now we read about competition between states to make the factory even more stiffling. PS and even private school students are forced to hear answers to questions that they don’t have, numbing their minds. They leave school with no ideas, a hatred for learning, angry. It usually takes a few years and jobs before they recover. Too much schooling- Ben Franklin noted that graduates of Harvard are unable to earn a living by using their wits. In recent years, "education" proponents have tried to tie more schooling to national prosperity. Children are not vehicles for “sustaining and improving our region's economy or global competitiveness”, they need freedom to mold their own lives and to do creative stuff. It's maybe a time to become selfish and greedy individuals. The reason why I'm "up" today relates to an article in the NYT about Portland, Or. a fog drenched Havanna. It seems that all of the highly educated lay-abouts want to move there because it comports to their ideology. The problem, according to the article is that they don't bother getting jobs. So we are treated to a poorly functioning , but highly "educated" populace drowning in debt and proudly aging into non-productivity. The article never stumbles upon the real problem and it's solution-that these bright, young people have no interest in enterprise. They should be starting businesses, taking gambles and investments on life (but what do you expect from the NYT?) And the article never delves into the dysfunctional background that these young people embraced in their PS or in subsequent high priced universities. Home schooled kids (no schooling at all) are the ones who have the real educations, able to think creatively, to relate to adults and gain “social perspectives different from their own”. Home schoolers gain real learning; they encounter questions in their everyday world, and have to noodle out their own answers. The next most highly educated group in Michigan are the Amish who study for 7 years in one room neighborhood schoolhouses taught by their 19 year old aunts. They finish speaking perfect English and 2 dialects of German, start huge families and run profitable businesses by age 25. I'd upgrade our PS to such a level. Thank you, Tom, for your helpful input; My insights, as you know, encompass the cosmic. You correctly point out, Korean, Chinese, and Japanese kids (to a lesser extent, European) excel in public schools, accomplish what our PS defenders can only dream,but are creatively stiffled compared to US kids. Asiatics seldom win Nobel prizes, can't function in occupations where imagination is helpful, and seldom grow their range of enterprise. The general rule is that the more and better the schooling, the less the ability to contribute to a rapidly shifting economy. US PS are comparatively less draconian and the average student can spend 12 years daydreaming and ignore the party line from the ministry of truth or whatever it be that is promulgating the national curriculum. Just imagine what no schooling at all would do to your ability to start a business, to ferret out a need among adults or to write a poem. The Millenials in Portland don't function like adults, but the Amish, with 7 years of schooling (and playing a lot of baseball), do. Is it "liberal" to provide more funding to high-poverty areas and classes to newborns and their parents taught by professional teachers at professional wages? No, it's actually a fiscally conservative policy that invests early to reduce costly remedial expenses later. This is not rocket science, it's good public policy what Minnesota is doing. In Michigan, we are held hostage by ideological/political power concerns that focus more on the selfish needs of those in power than children, especially children of the have-nots. I truly believe that those in the political power majority here in Michigan don't care about the needs of economically disadvantaged children. There is no evidence that they do, otherwise they would adopt a Minnesota-like early education program. Ours is under-funded, too-late at four-years old, and under-used. They care about themselves and sustaining their power. I'm so excited to see this report on MN's ECFE programs! I directed an ECFE program in a high-poverty rural MN community more than 20 years ago, and have never understood why other states haven't adopted the model. Run through a local school district, the program connects families to one another, to schools, and to community services. From my perspective as an educator and participating parent, the return on investment was powerful and far-reaching. This is a good story. Bridge missed one major piece to Minnesota's success - school choice. Choice is not simply limited to charters. Minnesota has one of the most robust and long-standing school choice programs in the country. Since the 1980's, under a Democrat Governor, Minnesota enacted a "choice-by-course" model. This is interesting. It is curious that Mr. French didn't notice this (or chose not to include it in his article). Competition can be a powerful motivator. Perhaps the existence of choice accounts for the smaller percentage of charter schools in Minnesota. They weren't needed to provide competition. Actually, school choice has been noted as a major drag on our educational achievement in Minnesota. We have one of the most racially segregated school systems in the country and it may be contributing to our achievement gap. Add to that the fact that our top scores are very high, and that people of color in Minnesota are more likely to also be poor than in most of the country, and we have one of the largest racial achievement gaps in the U.S.
Mr. French said that a school received "$2,241 per pupil in extra funding in 2012 because 78 percent of its students qualified for free or reduced lunch. That same year, East Duluth High School, where fewer than one in five students are low income, received $102 per pupil in extra funding." Is it a linear relationship with so much extra funding for every percentage point of kids who receive a free or reduced price lunch? If so, what is that relationship? He also said, "Michigan does provide $309 million in state cash for schools with high concentrations of at-risk students, many of whom are poor." How is that money allocated? How many schools does that money cover? How much extra money would a Michigan school with 78 percent of its students receiving free or reduced lunches receive? That is, just how far short of Minnesota does a comparable Michigan school fall? Thank you for this inspiring article! We DO know what children need to learn, just look at what is offered in expensive private schools - small class size! Good ratio of teachers to children! It is inspiring to know that the state of Minnesota recognizes that students from low-income neighborhoods need small class size more than children who already have every advantage. And they do it! That means we could do it to, and reap much better education for the same expenditure. Thanks so much for the details about Minnesota. Parental involvement and being available to ALL income levels....that is a huge distinction. Cuts to MI education under this adnistration have been inconsistent, as there was an increase in early childhood development funds. Teachers will tell you that parental involvement is key throught the education process. There's need for a "best practices" literature for K-12 education that is based upon solid research. A major advantage of a federal system is that state policy makers can observe policies implemented in other states and adopt those that are successful. Thus, there would seem to be no reasons (other than political and financial) for Michigan not to duplicate those programs in Minnesota (and in other states) that are known to work. As all should know, there's a very large, positive correlation between the education and socio-economic status of the parents and the educational performance of the child, due in part to the heritability of intelligence. Equal opportunity, thus, doesn't mean equal expenditure per pupil. Ken Meier's research identifies a number of factors known to work in K-12: high standards (mentioned by the author as a factor in Minnesota), parental involvement (also mentioned), stable curriculum, capable and experienced administrators, and hard work (homework). Capable and experienced teachers are also obviously a plus. There's nothing in that list about teacher salaries, class sizes, unions, charter vs. public vs. parochial schools and all the other stuff that stakeholders talk endlessly about but likely make little or no difference. A last thought: K-12 schools should stop the unconscionable practice of drugging little boys who are alleged to have ADD. Little boys are not little girls. They like to move about. They like to play with sticks and stones. They are little hunter-gatherers and warriors, eager to learn with both their minds and hands. For some, sitting still in a classroom for six hours a day is torture. Schools should recognize the different nature of little boys and their brains and adopt practices that are suitable to that nature. Ever-earlier school enrollment in schools with an academic emphasis is far less likely to succeed than teaching parents and caregivers how and what sorts of things to teach to their own children, and how to include children in family "projects" like sorting laundry, shopping, or cooking which require applied math, logic and prediction skills. Play groups / music groups / enrichment activities / story times several times a week are ideal, but since so many working families can't do this in the daytime, and so few early childhood educators who work for school systems are allowed to work in the evenings without receiving OT, sc hool based programs in Michigan are either for the very poor (Head Start, Great Start) or are expensive for-profit programs catering to upper-middle class families. Turning kindergarten into "the new first grade" has not done any one any favors, especially most young boys. Many are simply not developmentally ready to sit still and work on pencil and paper tasks for 5-6 hours in a day. But you can easily get 3 and 4 year olds to march or dance around chanting the alphabet, or other "teaching" songs. (Bring back Schoolhouse Rock!) This is how kids of this age can develop total mastery of early literacy concepts without having to sit still. Have those 3 and 4 and 5 year olds develop their fine-motor coordination with silverware, ladles, clay and beads as they do in Montessori skills. Link this training to cooking, serving and table manners. Have them learn to lace and tie shoes, button and unbutton, zip and unzip clothing, to "sew" on perforated boards, to finger and spool knit. Let them paint and model things in clay. And once they have grown up enough; heard enough stories told or read or acted them out, chanted alphabet and sound correspondences a few thousand times, correctly, THEN teach then the decoding skills their brains are now mature enough to master.